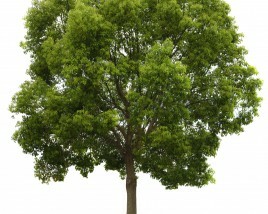 Trees and shrubs are normally self-sufficient lawn plants that require little to no attention. However, new shrubs and shrubs faced with poor soil conditions may need your help, in the form of tree and shrub fertilization treatments. Find out if your trees and shrubs are ready to be fertilized by looking into the aspects of your lawn described below. Care for New Shrubs – Freshly planted shrubs that are given nutritious, fertilized soil to grow in will grow stronger and faster in their designated lawn area. Fertilizing and thoroughly watering the soil around your shrubs when they are first planted will encourage them to reach their full growth potential. Test Your Soil – Finding out the pH value of your soil can help you determine what kind of fertilization your shrubs will benefit the most from, depending on whether the soil is primarily acidic or alkaline. Soil that is either too acidic or too alkaline is bad for shrub growth. You can find a DIY soil pH level tester at your local garden store. Monitor Grass Health – If the grass surrounding your shrubs is growing slowly or turning brown, you may need to fertilize your lawn, which will, in turn, fertilize your shrubs and keep them from going brown and dry as well. However, if your shrubs are planted in boxes or beds separate from your grass, you can ignore the state of your grass when looking into how to treat your shrubs. Watch For Struggling Shrubs – Struggling shrubs will show potential signs of poor nutrition such as early color change in their leaves, early loss of leaves, or minimal new leaf, twig or blossom growth. 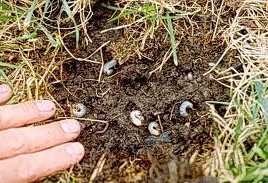 soil nutrition can include grub infestations and lawn diseases. Consult your local lawn care professionals to find out whether browning grass and leaves can be attributed to disease or to grub activity rather than to poor soil. When your shrubs look shabby, your lawn is kept from looking its best. Once you have determined that your shrubs are suffering from malnutrition, applying fertilization treatment to your lawn can bring green growth back to your browning plants. Call your local lawn and tree care professionals at Green Lawn Fertilizing today for everything from grub eradication to lawn disease diagnosis to the fertilization treatments that will make your lawn lively again.